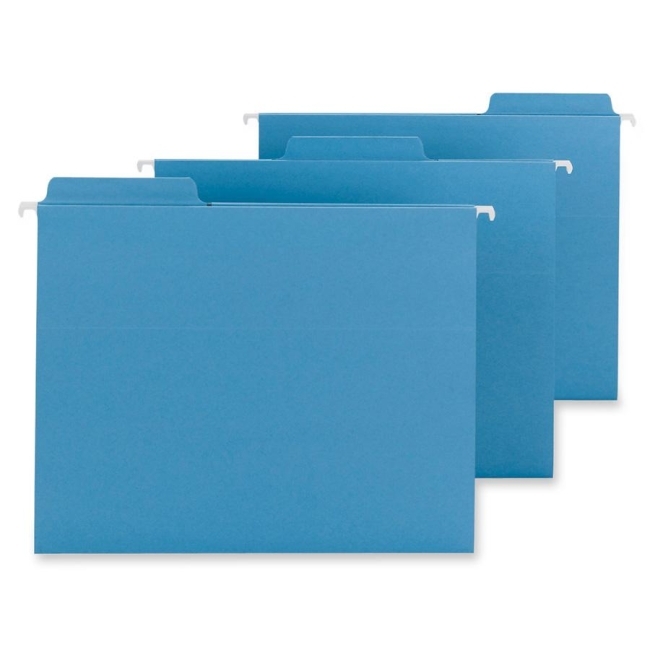 FasTab Hanging Folders have built-in, heavy-duty, two-ply tabs that are permanently attached. These 1/3 cut tabs are 20 percent larger than standard 1/3-cut tabs. No assembly is required. Tabs are easy to label. Write directly on the tab or apply self-adhesive labels. Tab is embossed for label placement. Hanging folders have paper glued around rods on both sides. Rod tips are coated to reduce rod bending and folder tearing. Folders are made of 11 point stock.